The team behind Republican U.S. Rep. Todd Akin's campaign for U.S. Senate announced the addition of a new member today, Chris LaCivita. 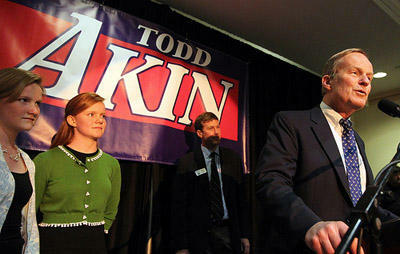 LaCivita was "chief strategist for Swift Boat Veterans for Truth, and co-producer of their award winning ads," according to a release from Akin's team. "Swift Boat Veterans for Truth" was the group involved in disputing the military record of former Democratic presidential candidate John Kerry in the 2004 election.